In its original form, The Art of the Start was the de-facto standard for learning how to start a company. The new version is 64 percent longer and features Guy’s latest insights and practical advice about social media, crowdfunding, cloud computing, and many other topics. To wit, business plans are no longer necessary; social media has replaced PR and advertising as the key method of promotion; crowd funding is a viable alternative to investors; and the cloud makes basic infrastructure affordable for almost any new venture. Whether you’re an aspiring entrepreneur, small-business owner, intrapreneur, or not-for-profit leader, there’s an over-abundance of advice. The Art of the Start 2.0 solves that problem by distilling Guy’s decades of experience as one of the most hardworking and irreverent people in business. As Guy likes to say, “Entrepreneur is a state of mind, not a job title.” This book will help you make your crazy ideas stick, through an adventure that’s more art than science–the art of the start. If you think you know everything you need to know about entrepreneurship, we dare you to take the test below. No test can determine if you’ll succeed as an entrepreneur, but this test will help you determine your level of knowledge about entrepreneurship. If you score high, it doesn’t mean you’ll succeed. If you score low, it doesn’t mean you’ll fail. But a basic understanding of these real-world concepts and conventions can make things easier, faster, and cheaper for you. Congratulations on the completion of the Entrepreneur’s Quotient test. I hope that you found the quiz interesting and challenging. If you got a low score, this doesn’t mean you’ll fail, but acquiring this basic knowledge will surely make things go faster and easier and could save you a lot of money. If you got a high score, don’t be buying a Porsche yet because it’s one thing to do well in a quiz and quite another to build a successful company. In either case, I promise you that reading The Art of the Start, Version 2 will help you on your entrepreneurial journey. What is not an advantage of crowdfunding vis-a-vis equity funding? If your company’s pre-money valuation is $4 million, and you raise $1 million, what is the post-money valuation? If the pre-money valuation of your company is $3 million, and you raise $1 million, what percentage of the company did you sell to investors? Earning stock options over time. Gradual increasing salary over time. Using the assets of partners. True or false: when it comes to pitches, more is more. True. An effective pitch contains all the information people will ever need. False. An effective pitch contains only enough information to keep people interested. What is the optimal number of slides in a presentation? What is the best reason to form a partnership? If your pitch was an airplane taking off, what kind of plane should it be? What makes a company defensible? Ultimately, what positions your product or service? True or false: as long as the founders own the majority of the company, they maintain control. What are the desirable similarities of founders? What is a good mantra for Nike? What is not a capital-structure problem? What phrase should a leader use less often? "Do what you think is right." What are the four kinds of board members that you need? 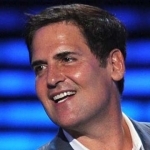 What is the best response when potential investors ask about the competition? True or false: it is no longer necessary to write a business plan in order to get a venture-capital investment. What will help you rock a panel? What is optimal mixture of content and promotion on social media? Read what Amazon customers had to say as well as independent blogs and websites. There’s really no other way of putting it. Kawasaki’s new book is THE guide book to creating a successful entrepreneurial business… If you only read one book in your career, this should be it. Guy Kawasaki does it again with great tips, tricks and fabulous guidelines for anyone starting anything. When you get pregnant, you read What to Expect When you’re Expecting. When you get laid off, you read What Color is Your Parachute?. 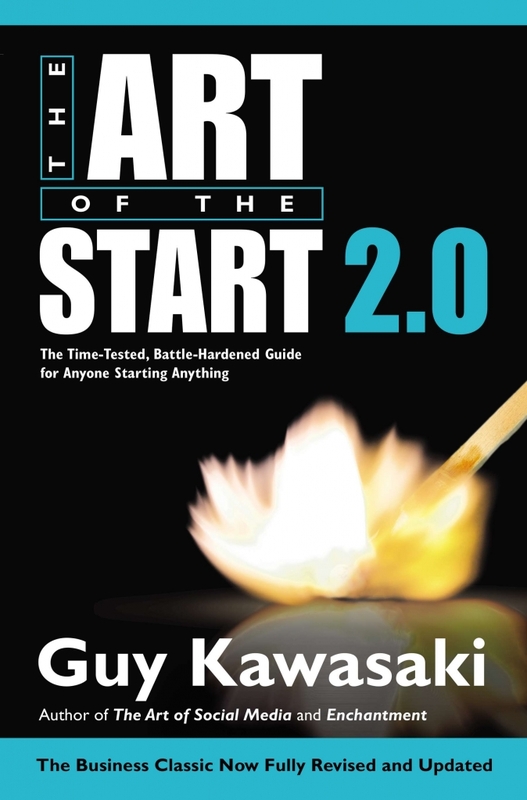 When you get entrepreneurial, you read The Art of the Start 2.0. If knowledge is currency, ‘Art of the Start 2.0’ is a goldmine! In my opinion, it’s worth its weight in gold. The Art of the Start 2.0 is a book that you should not just borrow from a friend, but you should buy. In short, this book teaches you everything about business that MBA programs don’t. I’ve tried, in earnest, to poke holes or truly disagree with anything in the book. It’s about as ironclad as a book can be. The Art of the Start 2.0 might be the ultimate entrepreneurship handbook. Dig in. It’s indispensable reading for entrepreneurs not only because it’s chock-full of advice and action items, backed by Kawasaki’s proven business wisdom, but also because he delivers them in accessible terms and with plentiful illustrative examples. The Art of the Start 2.0 will be very helpful to people who want not only earn more money, but also change the world. Media kit containing cover graphics in multiple sizes optimized for social-media platforms. Excel, PowerPoint, and Word templates for financial projections, pitches, and business plans (even though the book says that business plans are no longer necessary).